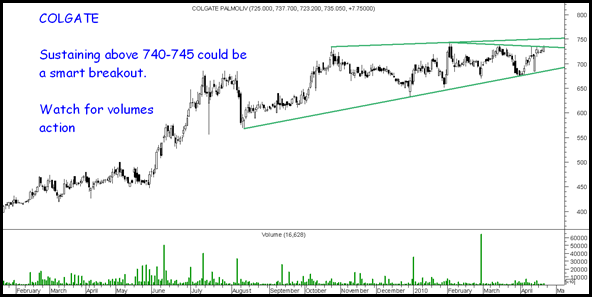 The stock is generally a laggard but a breakout above 740-745 could see a smart move. Watchout for volume confirmation to trigger trade. 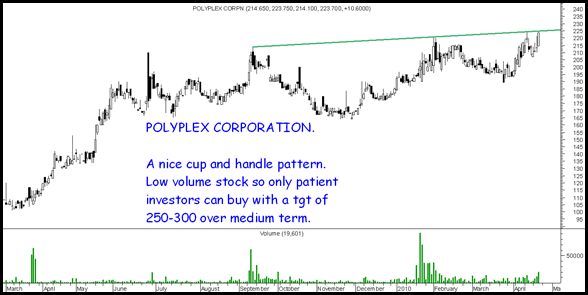 Fundamentally an excellent stock and a must have for 1-2 yrs view to be bought in market declines. Technically a move above 235 could take the stock to 250-265 in extreme short term. Another excellent company but low volumes are a concern. Good to buy at current levels with medium term view tgt 300. Will test patience. guj. appl. indead a strng fundalmnt co. Kamal nath would release new road order,he is acting fast, guj app would be indirectly benificary. watch for SUDAL inds is it on a break out? nice to hav talk with u the other day. Yes it was good talking the other day. 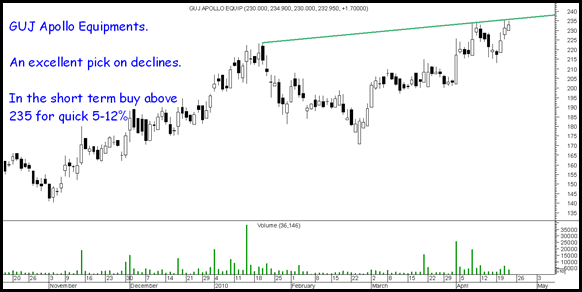 Guj Apollo a techno-funda pick.